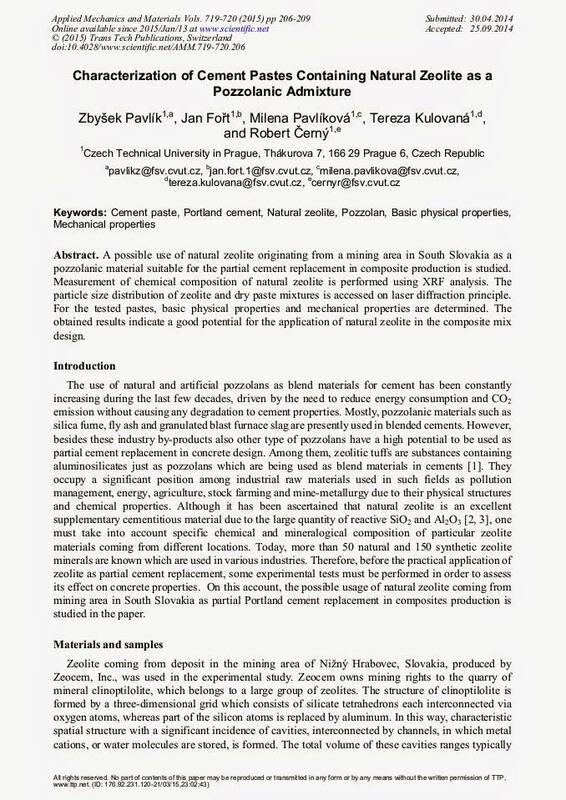 A possible use of natural zeolite originating from a mining area in South Slovakia as a pozzolanic material suitable for the partial cement replacement in composite production is studied. Measurement of chemical composition of natural zeolite is performed using XRF analysis. The particle size distribution of zeolite and dry paste mixtures is accessed on laser diffraction principle. For the tested pastes, basic physical properties and mechanical properties are determined. The obtained results indicate a good potential for the application of natural zeolite in the composite mix design.